It might be hard to imagine at the moment, but summer really is just around the corner. Those hot days and warm nights are coming back soon, and what better way to enjoy them than cruising behind the wheel of an all-new 2018 Ford Mustang? Of all the cars on the road today, the Ford Mustang might be the one that screams “road trip” the very most. Whether in fastback coupe guise or convertible with the top down, either way it makes for an epic adventure on the road when you’re in a Mustang. Just a few short months ago, Ford unveiled the mildly redesigned look of the 2018 Mustang. Much more streamlined, and bring back the Fastback name, the revamped Mustang’s exterior look wasn’t the only thing to be updated and changed. For 2018, Ford has ditched the 3.7L V6, instead replacing their base engine with a 2.3L 4-cylinder EcoBoost mill that produces 310 horsepower and 350 lb-ft of torque (when premium fuel is used, of course). Of course, there is still an available 5.0L V8 that pumps out 460 horsepower and 420 lb-ft of torque. And while a 6-speed manual is available, there is a rather unique automatic available for both engines and it’s a 10-speed. Driving the 2018 Ford Mustang is thrilling no matter what engine you put beneath its muscular hood or how you get through the gears (rowing your own or letting the car do it). Inside the 2018 Ford Mustang you’ll find available features like a 12” LCD digital gauge cluster with MyColor (EcoBoost Premium and GT Premium models), SYNC3 with Apple CarPlay and Android Auto, accessible via an 8.0” LCD touchscreen in the centre stack. 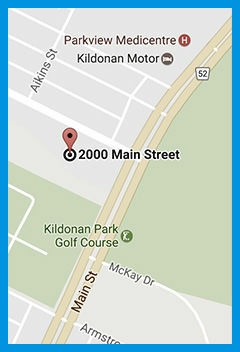 There’s even an app you can get for your smartphone, FordPass, so you can remotely start your vehicle, lock and unlock, check fuel levels and even locate your parked car. The 2018 Ford Mustang isn’t just fun to drive, it’s fun to live with. Packed with technology and horsepower, it not only looks great on the open road, but will have both passengers and divers wanting to hit the open road and drive off into the warm summer sunset as often as they can. 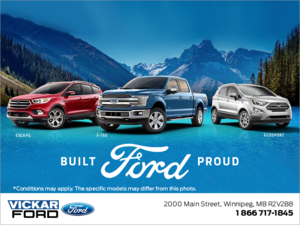 To find our more about the updated 2018 Ford Mustang and all the model variants from the EcoBoost to the GT, as well as the Fastback vs the convertible, head over to your local Vickar Ford to speak to one or our experts. And don’t forget to book a test drive.